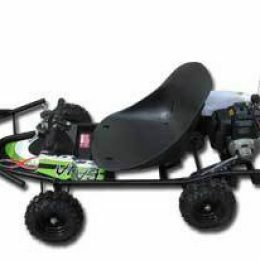 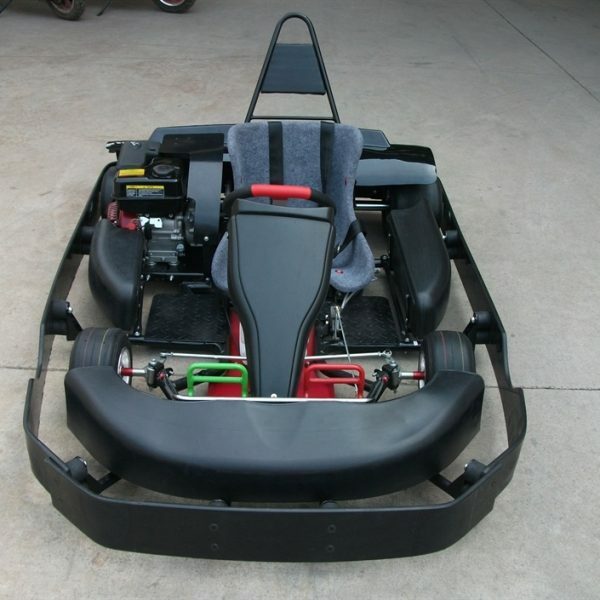 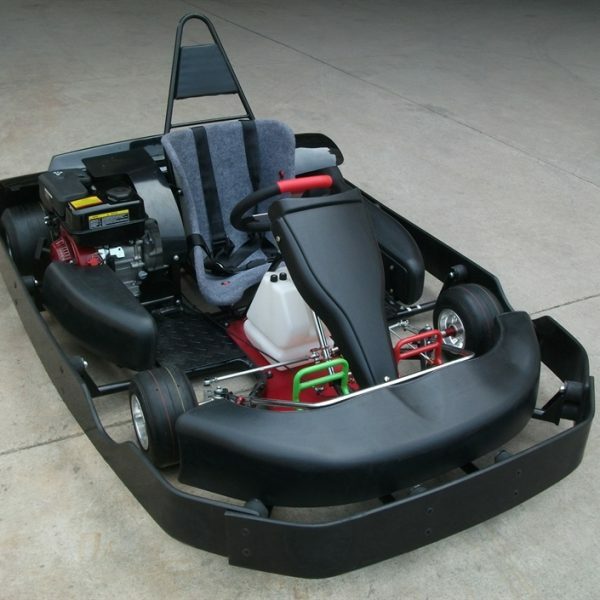 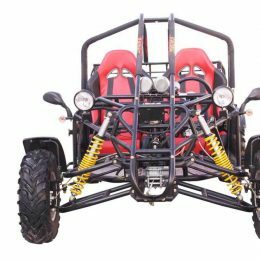 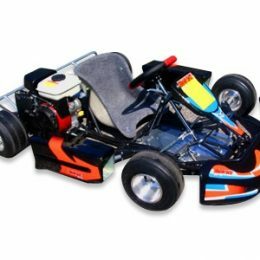 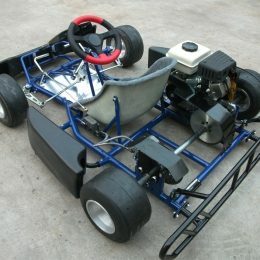 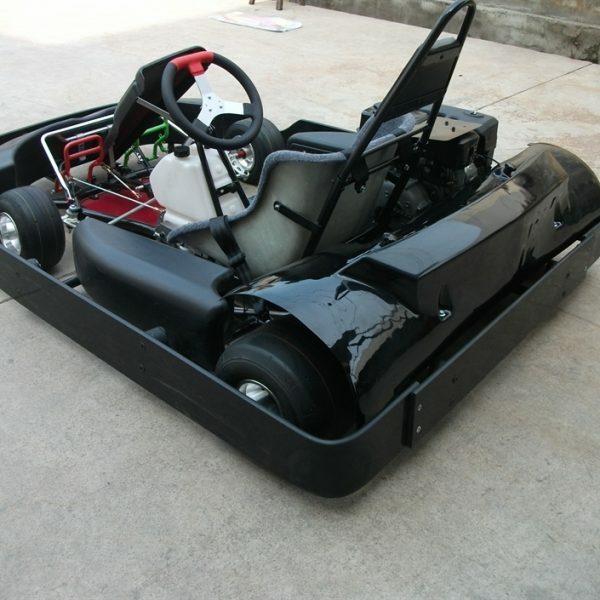 Concession tracks and rental companies often choose to purchase the Road Rat Racer XB, since rough riding doesn’t damage these go karts. 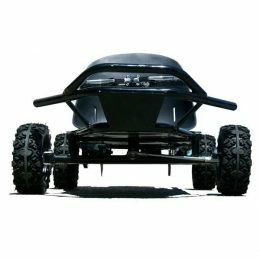 Since 2008 the company has been working to redesign this model and the newly designed Racer XB Bumper Addition is now available. 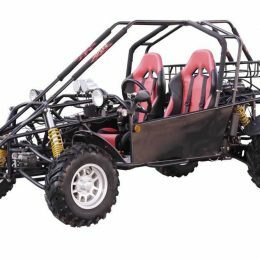 This specific Racer offers a four stroke 6.5hp engine that offers a top speed of 35mph and a wet clutch. 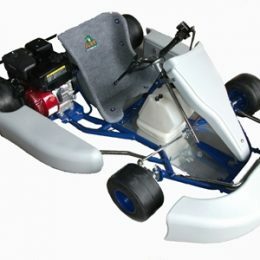 Padded bucket seats are included and the braking system is a hydraulic disc brake system. 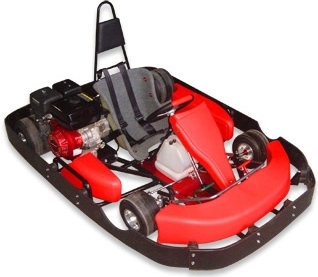 The Racer comes in both black and red, while you can special order other colors. 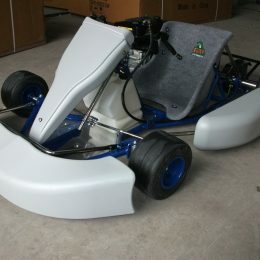 Some of the extras included with this model are color coordinated foot pedals, seatbelts, perimeter bumpers, headrest with roll bar, and even adjustable seats.